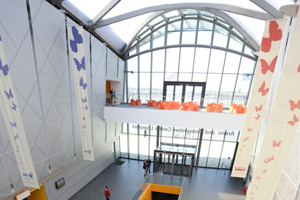 The International Society on Thrombosis and Haemostasis (ISTH) has selected ACC Liverpool to host its bi-annual scientific meeting in June 2012. The venue, home to the BT Convention Centre and Echo Arena, will accommodate up to 1,500 experts and exhibitors from across Europe, the US and Asia Pacific. The University of Liverpool has been active in its support of the event and is working as a local organiser. The aim of ISTH is to promote education among its younger members and to share best practice and inspire discussion among its more established members. Cheng Hock Toh, professor of haematology of the ISTH, said: "The society felt that the Liverpool bid was creative and they were impressed by the energy of the organising team and the attention the city would pay to the needs of younger delegates." Kerrin MacPhie, ACC Liverpool's director of sales, added: "Having worked with Cheng Hock for many years on bidding for this event, it is a just reward for him to bring it to the city and an honour for us to host it; we look forward to helping him create a memorable event."